Seize your mid-March moment to sample from a wide swath of windmill-close favorites. SATURDAY, MARCH 18 — that's but a single date in the larger Taste of Solvang multi-day schedule — and a host of restaurants will participate. The theme of the event is "bite-sized edible treats," which means you won't get overly full from the outset (meaning the 14 other places you had intended to try would be a no-go). As for the 2017 participants? Copenhagen Sausage Garden, Mortensen's Bakery, Old Danish Food Farm, Olsen's Danish Village Bakery, and Hummingbird Restaurant shall all dot the trail. And if you pass that famous windmill on Alisal while out strolling, well, that won't be unexpected. 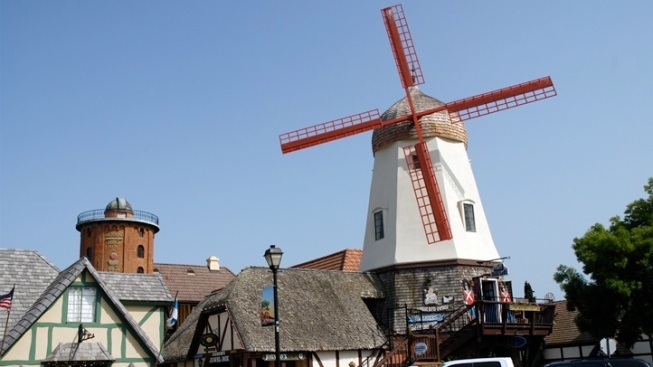 After all, "sort of close to the windmill" is pretty accurate, in Solvang terms, one of the foodiest, on-foot-iest places in the state.